Our rector is Fr. Caleb Evans. 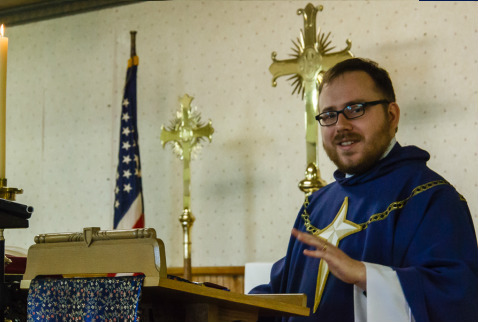 He is a dynamic preacher who preaches from the Bible, and has a fine pastoral sense for our parish. 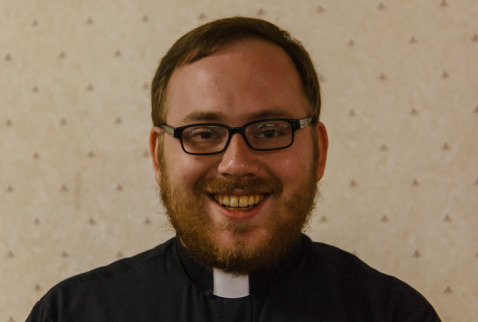 He and his wife Alane moved from Wisconsin to Syracuse for Caleb to take his position as the third rector of Holy Trinity. 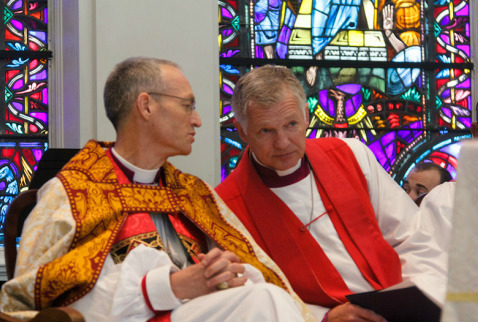 Bishop Julian Dobbs is our bishop and is assisted by Bishop David Bena. Bishop Bena calls our church his home parish, apart from his time away on assignment to other parishes of the diocese at Bishop Julian's request. Bishops provide guidance and spiritual direction to our parish, and they represent our connection to Christians outside of the walls of our church. We are especially blessed to have one of our bishops in residence as his home parish.